Welcome to the Tuba in Russia website, the first Russian site dedicated to this beautiful instrument. The site is mostly in Russian language. In this international section we present the work by the worldwide-known tuba enthusiast and historian from Moscow, Alexei Levachkine, "A brief history of the tuba in Russia", as it was published in Brass Bulletin magazine, N3-4 (N107-108), 1999. Let's begin our journey at the beginning of the 19th century in an amazing Russia where hunting horn groups that were unique in the world still existed. Made up of 16 to 36 players, (most often recruited from among the hundreds of servants of the court, who were rather unmusical...), each was trained to play a single unique note (one man, one tube, one note!). It was a kind of living organ with people in the place of keys. Entire pieces (including opera overtures!) could thus be played, and the scores resembled rolls for mechanical pianos. It was Czech hornist Johann Anton Maresch (1719-1794), student of Hampel and engaged at the Russia court, who in 1751 came up with the idea and developed this musical curiosity to satisfy the wishes of the Empress Elisabeth (1709-1762). (See Johann Christian Hinrichs, "Entstehung, Fortgang und ietzige Beschaffenheit der russischen lagdmusik", St. Petersburg, 1796; reprinted in facsimile edition by the Zentralantiquariat der DDR, Leipzig 1974; the instruments are preserved in the St. Petersburg Musical Instrument Museum). During the first half of the 19th century the bass horn, serpent, "Russian bassoon" (a kind of bassoon with a brass mouthpiece) and ophicleide were the precursors of the tuba in Russia. The Russian market for brass instruments was then mainly in the hands of the Czech maker V. F. Cerveny, who founded his own factory in 1842 in Hradec Kralove. He was an inventive manufacturer whose success is recounted in a booklet published in 1906 on the occasion of the first "Russian Exposition of Musical Instruments". The helicon (which winds around the upper body) was supposedly invented in Russia ca. 1845. This invention was taken up four years later by the Viennese Ignaz Stowasser, who launched production of this model, which was very practical for infantry or cavalry bands. Around 1882 Josef Josefovich Schediwa (1853-1915), who had worked for Cerveny, founded his own factory in Odessa, producing, among other tubas and basses, a variation on the helicon that he christened the "Herkulesophone". He published a "Catalogue for the production and ordering of metal wind instruments" with many, many designs, schemes, charts and diagrams. In 1875 Julius Heinrich Zimmermann (1851-1923) began by opening a music store in St Petersburg and soon became one of the most important merchants and makers, with branches in Moscow, London, Riga and Leipzig. Although at the beginning the clientele consisted mainly of amateur musicians, professionals were not far behind. Even the eminent teacher of trombone and tuba Franz Tьrner (1831-1909), who taught at the St Petersburg Conservatory from 1870 to 1909, had nothing but praise for the instruments of Zimmermann. At the turn of the century, the success of the instruments was confirmed: the brand brought home highest honors from the major international expositions. Some original "Zimmermann" tubas have survived, in a state of preservation good enough to permit us to appreciate the quality attained during the era. During 1860-70 there existed in the Russian Army the "Wurm Band", so named after Wilhelm Wurm (1826-1906), a German trumpeter and conductor living in Russian, who recommended instruments in С and in F. Now, as military bands commonly used instruments in different keys played by bad musicians (who also hardly practiced), it is not surprising that the intonation was doubtful at best. A reform of military bands undertaken between 1874 and 1876 attempted to put an end to this cacophony by using instruments pitched only in Bb or Eb. It should be noted that one of the leaders of this reform was none other than Nikolai Rimsky-Korsakov, who was then inspector of navy choirs. The maker Cerveny also participated in a significant way in the modernization of the equipment of military bands. After the revolutions, wars and other disruptions at the beginning of the 20th century, Russia also had to reconstruct its musical life: theaters, orchestras, conservatories... But above all it was the instrumental manufacture in factories and workshops that was affected, with techniques and traditions being lost. Even though the tubas produced by the [nationalized] "wind instrument factory of Leningrad" (made from the old "Zimmermann" workshops) were clearly inspired by the old "Zimmermann" models, they had to be developed from scratch, so to speak, the diagrams and equipment having disappeared in the upheaval... The tubas in Bb were and are still standard instruments for Russian tubists. But in recent years Russia has imported more and more instruments of the major foreign brands. Some orchestras are even ordering tubas in F or Eb in order to broaden possibilities and reduce performance problems in orchestral passages. The oldest information on Russian tubists is deposited in the "Annals of the Imperial Theaters", published between 1890 and 1915. These documents (tributes or obituaries) offer unique information on the musicians. For example, tubist Wilhelm Schцnekerl appears in the list of orchestral musicians of the St Petersburg Opera for the 1890-91 season. Engaged in 1861 "to play the ophicleide", he appeared in 1865 under the denomination "tubist". He belonged then to the generation of musicians who made the transition from ophicleide to tuba, a kind of "last Mohican". In 1890-91 in the Ballet Orchestra, one Wilhelm Hoppe (engaged in 1884; passed away 10 years later) held the position as tubist. His successor would be Karl Tormann, who held the spot until 1907. The list of artists of the Moscow Bolschoi Theater for the 1890-91 season includes tubist Hermann Tцpfer. In other documents, there is some mention of tubists Hubert et Saalborn... in short, the musicians came mainly from Germany, Austria, and other countries rich in traditions and experience. The Russian Czar and Czarina, themselves belonging to noble European families, constantly engaged foreign specialists, e.g. Franz Turner (mentioned above), or Christopher Bork (Borch) (1832-1916), teacher of trombone, tuba and percussion at the Moscow Conservatory between 1875 and 1916. Members of the musical society of crown prince (future Czar) Alexander III (standing, 3rd form the left) in the village of Krasnoe where they played often. Czar Alexandre III, a great fan of brasses, was a patron of music. Not content to found the Imperial Court Orchestra (the future Leningrad Philharmonic; today the St Petersburg Philharmonic), he also played several wind instruments himself: cornet, horn and tuba, as related by Alexandre Bers in his book "Memories of Czar Alexandre III". The National Museum of Theater and Music in St Petersburg still possesses some of the Czar's instruments: a quartet of "Cerveny" cornets, four horns, as well as his tuba; the Kremsegg Castle in Austria has his personal superb round fluegelhorn. The creation of an orchestra class in the cappella of the Imperial Court of St. Petersburg finally provided for the training of a new generation of Russian musicians and continued to reduce dependence on foreign musicians. Among them, tubist Vladimir Ivanovitch Zintchenko (1887-1966), who was a student from 1896 to 1905, then principal in the Imperial Court Orchestra (Leningrad Philharmonic) for 33 years (1905-1938) and who taught at this institution for a period of 40 years. In 1909 Serge Koussevitsky (1874-1951) founded the Moscow "Symphony Concerts" where he used musicians from the Bolschoi Theater, including, among others, the tubist Valenius, who was later replaced by Schulze. In 1910, after the departure of Ianitsky and Valenius, the Bolschoi engaged two extraordinary tubists: Alexandre Ivanovitch Kretov and Fiodor Mitrofanovitch Nikiforov. Born in 1872, Nikiforov was introduced to music in the army, where he had his first professional experiences. In 1910 he replaced Valenius at the Bolschoi, and remained there until 1919, playing concurrently at the Russian Imperial Music Society Orchestra. Vassili Vassilievitch Vassiliev (1878-1938) took over from him until 1933. Two of his sons also decided to embrace the vocation of tubist: Sergei and Victor, who also played with him in the Bolschoi... Kretov was born in 1879 in Warsaw, Poland. He entered the Moscow Conservatory in 1904, and finished his studies in 1908 in the tuba class of Christopher Bork (1832-1916). In 1905 he became tubist with the (private) Zimine Opera in Moscow, and then in 1910 with the Bolschoi, where he remained for 25 years until his retirement in 1936. His successor was none other than the famous Blazhevitch, one of the most famous names in the world of brass playing. 1908 - St.Petersbourg - Pavlovsk. Summer residence of the tsars. Standing: Mikhail S. Prokofiev (oboe), Vladislav M. Blazhevich (trombone), Semion P. Steinberg (violin). 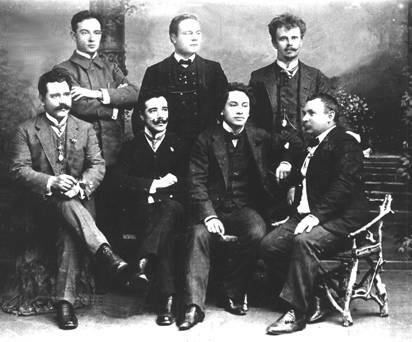 Seated: Alexander P. Alexandrov (clarinet), Ivan S. Tsyboulski (tuba), G.Kreisa (violin), Stefan J. Boujanovsky (trumpet). "I, Vladislav Mikhailovitch Blazhevitch, was born in 1881 in the Smolensk region, state of Katyn, town of Trigoubovka. My father, of noble ancestry, was condemned to twenty years of hard labor after he was denounced by the pope for having participated in political acts. My mother was a commoner by heritage. Having lost my father in 1881, I was orphaned at the age of six months. My father's side of the family took me in. When I was twelve, I was sent for an education with the army band of the 3rd Artillery Brigade of the city of Smolensk, where I remained until I was 18. Since I wanted very much to get an advanced music education, I made my way, after a great deal of difficulty, to the city of Moscow, where I was engaged as a civilian musician in the Grenadier Regiment of Astrakhane. I stayed there until 1900, when I entered the trombone class of professor Bork at the National Conservatory in Moscow. I finished in 1905 with the title of "free artist". In 1906 I won an audition for the Bolschoi Academic Theater, where I worked for 22 years. In 1920 I was invited to teach at the National Conservatory in Moscow, where I remain to this day." Vladislav M. Blazhevitch taught trombone and tuba at this institution from 1920 to 1942, the year he died. A veritable monument to brass playing in Russia, he was the author of many pedagogical works and composer of concertante works for trombone, tuba and wind band that to this day have lost none of their value, still capturing the interest of musicians and students. His role in the development of wind bands in Russia is inestimable. His many students (e.g. Mitine, Sokolovsky, Lechtchinsky, who worked at the Bolschoi) were to occupy important positions in the orchestras of the former USSR. He was incontestably one of the foundations of the Russian (Soviet) School of trombone and tuba. In 1936, when the USSR National Orchestra was created, the first tubists engaged were Antonov and Pozdniakov, before the very long "reign" of Vladimir I. Matchekho, which lasted from 1943 to 1985. Born in 1916 in Moscow, Matchekho loved music already as a child. Time and time again his parents had to punish him for straying too far from home when he ran behind a marching band! Between 1932 and 1933 he was a student at the Proletarian Division Band in Moscow, first playing tenor horn and baritone before switching to tuba. In 1933 he was admitted to the Gnessine Music School in the trombone and tuba class of A. Nikitine, principal trombone at the Bolschoi. At the same time he studied with Blazhevitch and his student Vladimir A. Chtcherbinine (1896-1963), who gave him free lessons. In 1941 he won an award in the first division of the USSR National Music Competition for wind instruments. During his long years with the USSR National Symphony Orchestra, Matchekho traveled to the four corners of the world, where he made many friends among his colleagues. In 1969, during a tour to Canada, he was admitted as a Life Member to T.U.B.A. (Tubists Universal Brotherhood Association), the organization founded by his American colleagues. Today, despite his advanced age, Vladimir Matchekho remains active. He participates in various organizations, attends concerts and enjoys telling stories about his life to younger colleagues around a convivial table, fearlessly making toast after toast to the health and prosperity of the tuba in Russia. A fine storyteller, gifted with a fabulous memory and vivid language, he is a living anthology of the tuba in Russia. It would take a book to tell all about his life and musical activities. In the 1930s, more and more students of Zintchenko entered Leningrad orchestras. 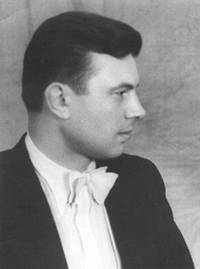 One of these was Nikolai A. Kouivanen (1911-1980). When he finished his studies at the "Moussorgski" School of Music in Leningrad in 1936 in the classes of Reich and Zintchenko, he succeeded the latter from 1938 to 1970 at the position of principal tuba with the Leningrad Philharmonic, an orchestra that acquired national and international fame, which earned it the supreme distinction of "Meritorious Collective of Russia" awarded by the Kremlin in the characteristic terminology of the Communist regime. After Kouivanen went into retirement in 1970, it was Valentin V. Galouzine (*1942) who took over the position of principal with the Leningrad Philharmonic. Galouzine has taught at the Conservatory of St. Petersburg since 1974. Notable among his students is Valentin A. Avvakoumov (*1959), winner of the All-Russia Competition (1983) and the USSR Competition (1984), today principal tuba with the orchestra of the Mariinsky Theater in St. Petersburg. Musicians from various institutions of the St Petersburg (formerly Leningrad) school of tuba playing have broadly dispersed across Russia and the former Soviet republics, thus contributing to the diffusion of the remarkable traditions and qualities of this school. Notable among the Muscovite institutions is the Mikhail Gnessine Russian Academy of Music. Many tubists have come out of there; Matchekho, among others. But it is notable that until 1973 neither the training center nor the Gnessine conservatory had a real tuba class. The teaching was always taken care of by trombonists such as Boris Petrovitch Grigoriev (1906-1978), who trained many professional tubists, including, among others, Mikhail F.Anitchkine (*1929), Kouzmitchev, Zheleznov, Alexei Levachkine (*1946; the author) and Vladimir Nikolaiev Dossadine (*1933). The latter played from 1957 to 1980 as principal with the Radio Symphony Orchestra. From 1973 on he led a real tuba class at the Mikhail Gnessine Academy of Music. Tubist Alexei K. Lebedev was the "grandson" of the celebrated Blazhevitch, since he studied with Chtcherbinine, who was a student of Blazhevitch. A talented and versatile virtuoso, he created his own school of tuba, and in the world of brasses he made a name principally as a composer. He first learned piano, but was attracted most of all by wind bands. Sent to the front, he was gravely injured in 1943. He continued his service as a military bandsman in Moscow, which allowed him at the same time (1943-45) to study in the tuba class of the Ippolitov-lvanov School of Music. Mustering out of the army in 1945 for the reason of disability, he was admitted to the National Conservatory in Moscow, where, with Chtcherbinine, he continued to study tuba until he graduated in 1949. It was at this moment that the National Conservatory in Moscow created its own tuba class, and asked him to teach it. In 1950 he won the audition for the Bolschoi orchestra, where he was principal until 1966. During Lebedev's 43 years of teaching, about fifty students graduated from his class and found positions in orchestras in Russia and abroad. One of them, loury I. Larine (*1940, graduated in 1967), has been a member of the National Philharmonic of Moscow and successor to Lebedev at the Conservatory since 1993. In the autumn of 1998, Tubists' Universal Brotherhood Association (T.U.B.A.) awarded its highest honor posthumously to Alexei Lebedev as a tribute to his outstanding contributions to the art of the tuba. This summary of the history of the tuba in Russia is necessarily incomplete, and I offer my apologies to those who were omitted or who found omissions. These two articles may serve as the basis for a more substantial work. For this reason I invite anyone who has documents and who has done research on the subject to contact me. The author, Alexei Levachkine, was born in 1946 in Moscow. 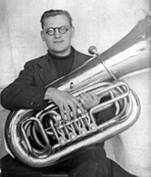 He studied tuba between 1963 to 1977 (with interruptions) at the Gnessine Institute with B. Grigoriev and V. Dosadine. From 1973 to 1981 he worked in various orchestras and bands. Between 1981 and 1985 he played in the National Symphony Orchestra in Moscow under the direction of V. Doudarova. Since 1985 he has been a member of the National Orchestra of Russia under the direction of Evgueny Svetlanov. © "TUBA IN RUSSIA" - by Alexey Tcharykov, 1999-2019. © Designed by Rusign Internet Atelier, 1999-2001.